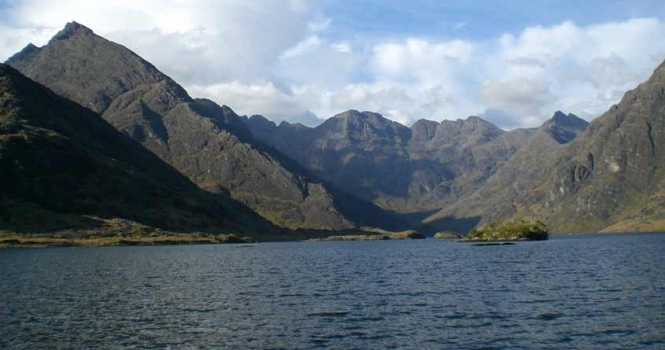 The Black Cuillin of Skye is a complete mountain range compacted into a remarkably small area on one of the most beautiful islands in the world. The scale disguises the enormous extent of climbing available and visitors never fail to be amazed by the challenges these mountains throw down. There is something in the Cuillin for anyone visiting Skye; from the tourist viewing the dramatic peaks from the roadside to the hardened mountaineer on the lofty peaks. Beautifully crafted footpaths now lead into the dramatic corries in little over an hour where the scale suddenly becomes apparent. Some peaks can be reached without any need to take hands out of pockets and others can only be accessed by those with strong nerve and a rope is frequently used. The Cuillin have been a mecca for climbers, scramblers and walkers for over 150 years. 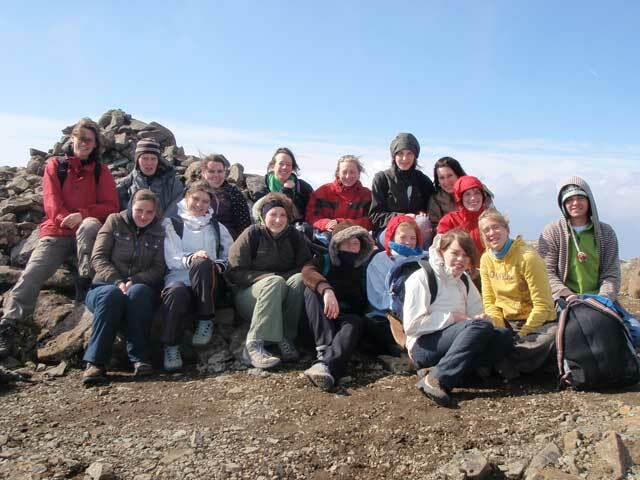 They come to enjoy the challenges and scenery of the only truly alpine environment in Britain. The remnants of a once great volcano form a chain of some 36 peaks along a narrow 12 km ridge. The mountains are rocky peaks rising straight out of the sea with little vegetation above 300 metres. 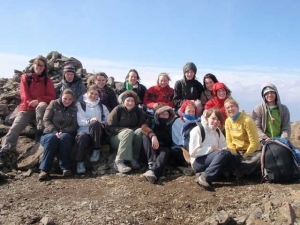 Above this height, exploration involves following discontinuous trails through boulders, screes, slabs and narrow ridges to most peaks. The Cuillin represents the boundary at which British hill walkers become mountaineers, but this is not the enormous change envisaged by many. Hands are used regularly but good balance and footwork are more important than rock climbing skills. The views are second to none but the scrambling itself is also highly satisfying. 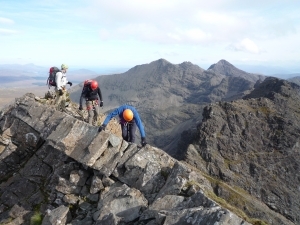 There are a lot of conflicting opinions on what scrambling in the Black Cuillin entails because each and every person perceives the terrain and exposed situations differently. In fine weather, the rock is so rough that confidence grows rapidly and the whole range can seem like an enormous playground. By contrast, the rocks become greasy in the wet and can reduce even the most able of climbers to a crawl. Choosing the right objective for the conditions is crucial. Click on the buttons opposite to read more about the most popular objectives that we guide then Contact us by telephone or e-mail to discuss what you would like to do.